The author of this book is a journalist who has been reporting from South Asia and the Middle East for several British and American publications including The Economist, The Guardian and the New York Review of Books. He is an author of several books about Iran such as Patriot of Persia (2012) and The Struggle for Iran (2004). The book under review is a departure for the author from his usual journalistic endeavours to a more serious and sustained engagement with modern Muslim history and culture focusing on the ideas and thoughts of some of its leading writers, scholars and reformers, both religious and secular. This enabled the author to explore aspects of modern Muslim reformist ideas and thoughts that are not generally appreciated in the Western world. The author profoundly disagrees with one-sided and slanted views about Islam because, in his opinion, the Muslim world has already experienced considerable intellectual and political transformation, thanks to the efforts of scores of modern Muslim writers, scholars and reformers, religious as well as secular. In his own words, ‘If you think that modern Islamic civilisation has been untouched by reform, it stands to reason that a whole range of characters familiar from your own history will be absent from the pages of the Islamic past: that the world of Islam continues to await its secular philosophers, its feminists, its scientists, its democrats and its revolutionaries. Equally, who can dispute that an Islamic history bereft of intellectual and political reform will inevitably miss out on social and cultural modernity? …It is not necessary to be a specialist of Islamic societies to grasp that this line of thinking leads to a cul-de-sac.’ (pp.xv-xvi) Why? Because the Muslim world continued to adapt and reform throughout the 14 centuries of its history and that transformation, according to the author, was particularly noticeable during the period from the beginning of the nineteenth century to the present. Scores of Muslim scholars, scientists, writers and politicians brought about remarkable changes in many parts of the Muslim world, but their contributions and achievements were, for some reason, not always recognised and acknowledged in the Islamic world as well as the West. Consisting of six chapters, an introduction, conclusion and extensive notes, the author traces the origins of Muslim encounter with modernity and socio-cultural transformation from Napoleon’s arrival in Egypt in July 1798, covering the next two hundred years of history, through the lives and works of influential Muslim figures like Muhammad Ali Pasha, Qurrat al-Ayn and Ibrahim Sinasi, among many others. This is an interesting, well-written and thoughtful book, even if the author’s understanding and interpretation of aspects of modern Muslim history and thought is at times questionable, if not inaccurate. Nonetheless, he deserves credit for engaging with a highly complex and equally pertinent subject at a time when Islam is always in the news especially in the Western world. Muhammad Khan. 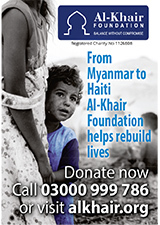 M Khan is the author of The Muslim 100 (2008) and The Muslim Heritage of Bengal (2013). 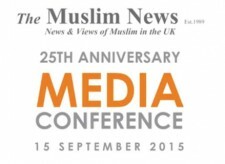 Over 120 people attended a landmark conference on the media reporting of Islam and Muslims. 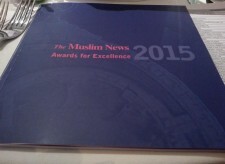 It was held jointly by The Muslim News and Society of Editors in London on September 15. 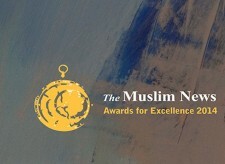 The Muslim News Awards for Excellence 2015 was held on March in London to acknowledge British Muslim and non-Muslim contributions to the society. 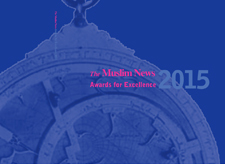 The Muslim News Awards for Excellence event is to acknowledge British Muslim and non-Muslim contributions to society. Over 850 people from diverse background, Muslim and non-Muslim, attended the gala dinner.